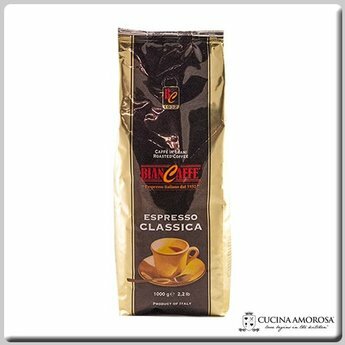 A Classic expression of "Italian espresso coffee", this coffee is characterized by the harmony of its rich, full taste with its intense aroma delivered by Central American Arabica coffee beans. BIANCAFFE' was established in 1932 as a small coffee-roasting company, but over the last seventy years, it has become a company known throughout the world for its quality coffees. In recent years, the company has perfected advanced technological methods for quality control. This, together with their rigorous selection of coffee varieties and meticulous care in all phases of production, has resulted in a superior coffee product.